When a patient presents with signs and symptoms suspicious for a tick-borne illness, medical providers in central North Carolina regularly test for Lyme disease and Rocky Mountain Spotted Fever, but often don't think about Ehrlichia, according to researchers at the University of North Carolina at Chapel Hill. The failure to test for Ehrlichia, even as more and more evidence suggests that the infection may be just as common as other endemic tick-borne diseases, appears to impact patient care with antibiotics prescribed less frequently when testing is not ordered. This study's results and recommendation for increased provider education were recently published in the Center for Disease Control and Prevention's journal Emerging Infectious Diseases. "Providers order Ehrlichia testing much less frequently than Rocky Mountain Spotted Fever or even Lyme disease, despite the low-incidence of Lyme disease in the state," said Ross Boyce, M.D., M.Sc., the study's lead author and a clinical instructor in the Division of Infectious Diseases at the UNC School of Medicine. "This disparity may be attributable to unfamiliarity with local vector epidemiology, as well as the greater attention given to Rocky Mountain Spotted Fever and Lyme disease in the popular media." Ehrlichia is an illness caused by the Lone Star Tick, which is found throughout the mid-Atlantic United States. Symptoms typically include fever, headache and muscle aches. 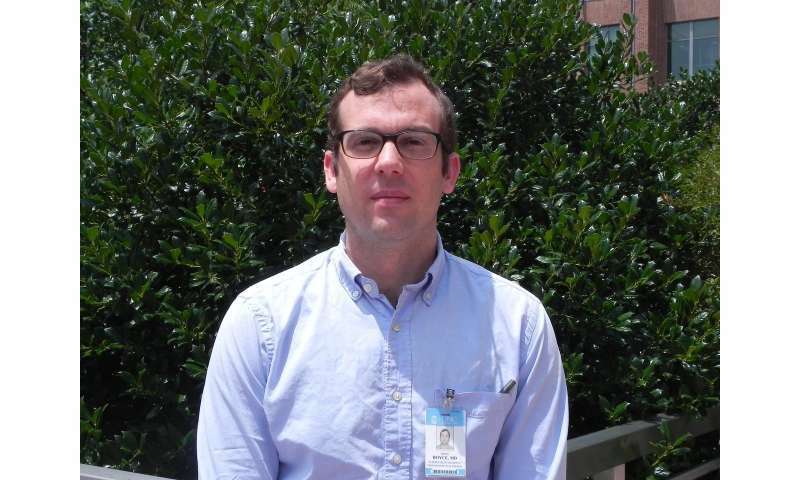 Boyce and colleagues performed a retrospective chart review on 194 patients who underwent testing for tick-borne illness at UNC hospitals and associated clinics between June and September 2016. They found that nearly 80 percent of patients were tested for Rocky Mountain Spotted Fever and two-thirds were tested for Lyme disease. Yet providers ordered testing for Ehrlichia in only one-third of patients. Among the initial results, 37 patients tested positive for Rocky Mountain Spotted Fever, one tested positive for Lyme disease and nine tested positive for Ehrlichia. Using leftover serum, Boyce and colleagues tested the 124 patient samples that were not initially tested for Ehrlichia. Twenty-five of those samples ultimately tested positive for Ehrlichia, putting the total number of positive results nearly equal with the number of Rocky Mountain Spotted Fever cases. "Our results demonstrate that Ehrlichia accounted for a large proportion of reactive antibodies among a cohort of individuals with suspected tick-borne illness in Central North Carolina," Boyce said. "These finding provide strong, albeit circumstantial evidence that Ehrlichia infection is as prevalent as Rocky Mountain Spotted Fever even as providers appear to consider this diagnosis much less frequently than other tick-borne diseases." While the CDC guidelines recommend empirical antibiotic treatment when there is suspicion for tick-borne illness, Boyce and colleagues work suggests that providers are less likely to provide antibiotics if testing is not ordered. While it is difficult to distinguish an acute infection from a past exposure with a single test, the study estimates that failure to test for Ehrlichia may have resulted in a missed diagnosis in more than 10 percent of individuals. Boyce said educating front-line providers in primary care clinics and emergency departments about the prevalence of this tick-borne illness is urgently needed.